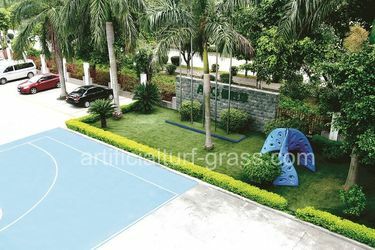 AVG, built since 1982 and located in Guangzhou, is one of the first professional artificial grass manufacturers in China and becomes FIFA licensee in 2018. After years developing, there are two production plants covering 70,000 square meter with capacity more than 30 million square feet, and 3 R&D centers in China and US. Besides being the only supplier of artificial grass to three international events: 2008 Olympic Games, 2010 Asia Games, and 2011 Universuade, AVG is the exclusive supplier of China Nation Stadium---The Bird’s Nest. Cooperating with partners in more than 100 countries, AVG keeps offering safe product to our customers and win praise and reputation from the world in return. In 1982, Parks Recreation Manufacturer (china) Co., Ltd., as the precursor of All Victory Global Co., Ltd., was established in HK. In 1996, Dutch artificial grass system was imported to the hockey training court in Huangcun, Guangzhou, which was the most advanced field. From 1996 to 2003, Parks was general agent of Holand EDEL, Germany REGUPOL and U.S.A. Little Tikes. In 1998, Parks supplied grass for International Hockey World Cup. In 2001, Parks installed the Olympic Sports Center in Beijing and playground in Sun Yat-sen University Haizhu Campus. In 2002, Parks completed the playground in The Hong Kong Institute of Education, second Huangcun training base and Sailing school in Liaoning Province. In 2003, 9720sqm of real grass was taken placed by AVGrass in Amsterdam Stadium. In 2005, Parks became DOMO's partner. In 2008, AVGrass built baseball and football training fields for Beijing Olympic Games. In 2009, AVGrass was used in Sun Yat-sen University stadium and Foxconn Group. In 2010, AVGrass was offered to Asian Games in Guangzhou. In 2011, AVGrass was provided for Shenzhen Universiade. 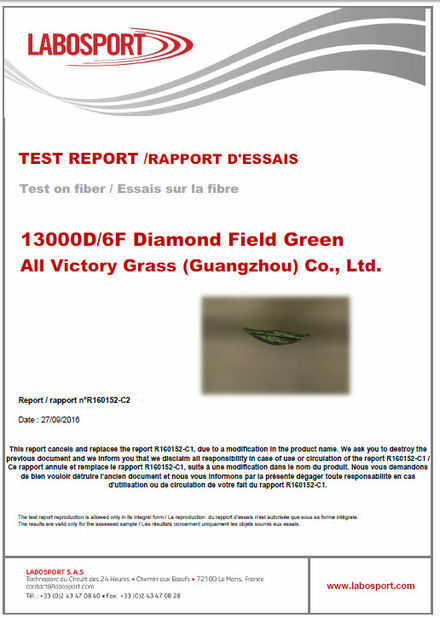 Parks manufacturing Co.Ltd changed its name to All Victory Global Co., Ltd.
2012-2013, AV Grass approved the France Bureau Veritas certificate, and got 6 national patents of artificial grass. 2014-2015, No. 1 market share in South China. became exclusive supplier of The Bird’s Nest-- main venue of 29th Olympic Games. Built our first FIFA Certification field in China--Beijing Technology and Business University. Listed in public,stock code 837878. Built AVG Five-star Football System Experience Center in Guangzhou. 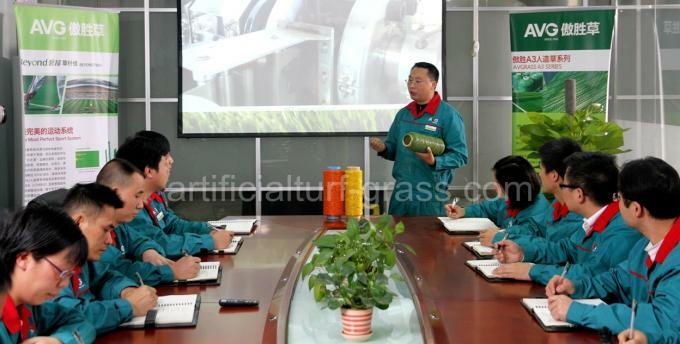 As the first listed enterprise of artificial grass and pioneer of artificial turf in China, the company now has more than three decades of artificial turf experience from R & D through to production, sales and construction management. 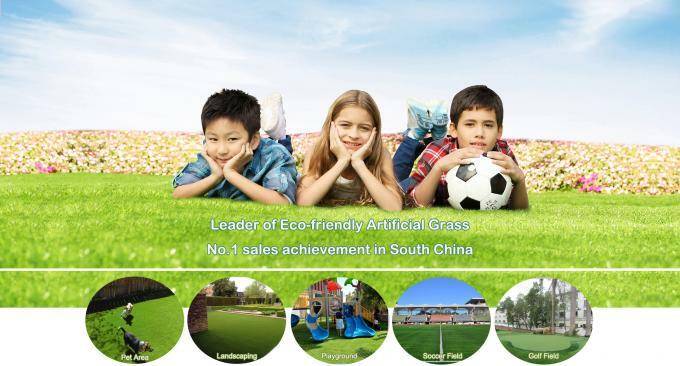 To be a world-class professional manufacturer of artificial grass, football facilities and other new materials system for sports, landscaping and decoration. Consulting services ensure that you have the product best suited to your needs. Our sales team is equipped with professional knowledge of a wide range of products for a variety of applications. We offer free field design service. Our supporting team is highly experienced on field design. 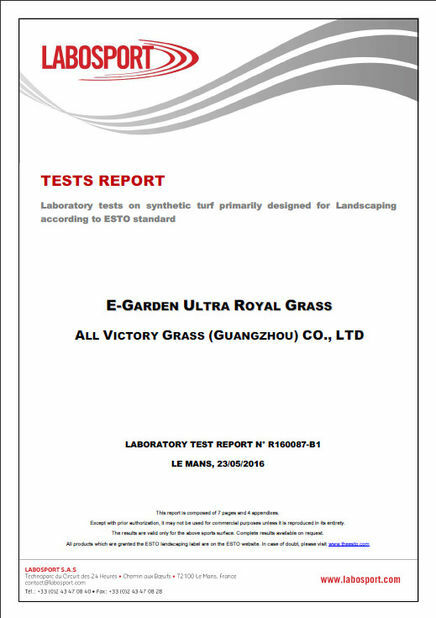 Each sport or landscape field is tailor-made in our factory. Produce on demand, Deliver on time. Reduce logistic & storage cost for customers. We offer marketing support for our partners and clients. Such as sample support, exhibition promotion, online marketing counseling, customer leaflets, etc. We provide installation consulting services, to provide customers with documentation, video guide, even oversea construction guidance. 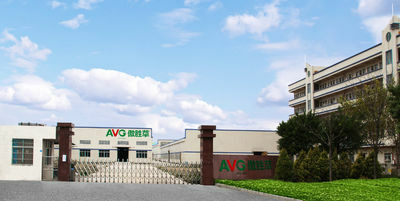 With its top quality and service, AVG is currently ranked as number one in market share in South China, and the only artificial turf supplier to provide three international events: the 2008 Olympic Games, 2010 Asian Games, and 2011 Universiade Games.AVG grass are exported to the United States, Europe, the Middle East, Asia and more than 100 countries and regions around the world. As China's sole supplier of high-end aviation grass, AVG is the first to install artificial turf in the middle east for 2 International Airport with a total of 250,000 square meters，gaining a high reputation for Chinese products in the international market.